Spend at least 30 hours a week on your job search (ten hours if you are working full-time). 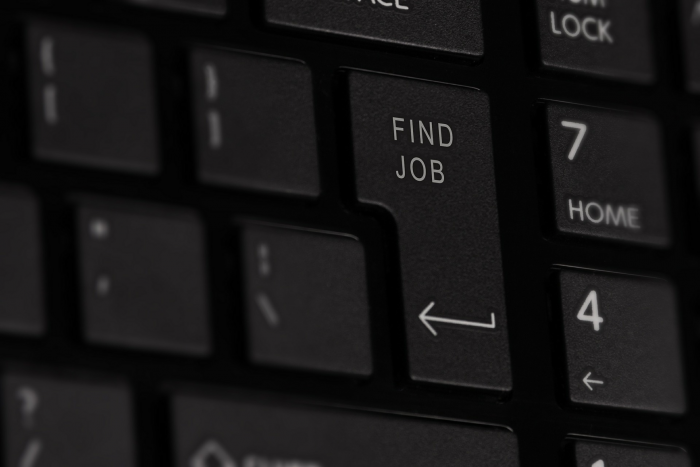 If you are between jobs, consider your job search to be your full-time job. Plan and structure your days as though you were being paid by someone else to conduct a successful job search. Use as many different job search methods as possible and emphasis those that will help you to cut your job search time in half. Various resources include: utilizing personal contacts, online job banks, social media including Facebook and LinkedIn, the Yellow Pages (print and online) for direct employer contacts, social service organizations, your state employment agency, Chambers of Commerce, local colleges/universities, trade unions and employee organizations, etc. At any given time, is important to be using at least five different job search methods. Allow as many people as possible to help you. The greater the number of people who know you are job hunting and who understand specifically what type of work you are seeking, the greater your chances of finding suitable employment. Take the initiative to talk with employers directly. Remember that 85% of employers never advertise positions that they have open. Instead, they fill positions with people they already know, or those who find out about the job openings through word of mouth, or people who just "by chance" contact the hiring manager directly by phone, mail or in person. Be "gently persistent" in contacting potential employers. More than any other trait, persistency is key to your job search success. Being gently persistent means that you may need to become more assertive than you are used to being. It means that you will be willing to hear many "no's" from employers. And when you hear a "no" you will be willing to ask again (at a later time) to hear, possibly, a "yes"! Apply to small business as well as large ones. Two-thirds of all new jobs are created in companies with twenty or fewer employees. While large companies are still laying off employees, small companies are the ones that are growing and hiring new employees--people like you. Send a short thank-you email or a written "snail mail" thank you note each night to those who have helped you in your job search that day. Notes can simply say the following: "Thank you for the information (or job lead) you provided to me. Should you think of anything else that might be helpful for my job search please contact me at (phone number). Sincerely, ________"
Take the time to know yourself thoroughly. A major reason for extended unemployment, a study found, is that 80% of job applicants can't prove the top ten skills for the job for which they are applying. You need to know which of your marketable skills, abilities, values, personality traits, motivations, etc. will help you to do the job you have targeted. God has gifted you in a special way to make a difference in this world. Understanding your God-given design will allow you to prove to employers what makes you different and unique from others who are seeking the same type of work. Describe yourself in terms of skills you have rather than in terms of the jobs you have done. For example, someone is not only a car mechanic, but also a person who is good with tools and diagnosing problems. Stay well groomed and appropriately dressed. Always maintain the attitude that no one owes you a job. Instead, take on the attitude of someone who is always looking for opportunities to meet an employer's needs and be a resource in solving problems. Stay organized. Develop a written weekly plan of action and keep a careful record of your employer contacts. Develop a strong support system. Job search work can be stressful and challenging. When you have more challenge in your life, you also need more support. For example, you could ask someone to meet with you on a weekly basis (perhaps for breakfast) to give you support and accountability in your job search work. Perhaps while they are supporting your efforts, you can also support a project/dream they are working on. If you would like professional support and assistance check out our career guidance and job search services.